For my lovely friends Colin and Sue, my wonderful ‘hosts’ here in this lovely part of France, there are many joys at being here. Some would be obvious – the summer climate, the beaches (not that they get to the beach to relax), the beautiful towns and villages, the relationships that they have worked hard to build and establish with the locals. I’ve seen that first hand, having been here the best part of two weeks now: I’ve had the pleasure and joy of meeting their friends, who have grown to love and trust them. Last night, we were at the home of a neighbour, Pauline, with two lovely daughters, Rose 13, and Celeste 10, for Celeste’s 10th birthday party. Eight years ago, Pauline’s husband committed suicide: why – I wouldn’t know, as she’s a lovely, bright, vivacious lady with two lovely daughters. Soon after that, Pauline’s mum died. What has developed for Colin and Sue, who have been alongside the family since before and after that tragedy, is that they are accepted as part of Pauline’s family, and have become ‘surrogate’ grandparents to the girls, who clearly love them to bits, as does Pauline. That’s one story, of many, many stories. 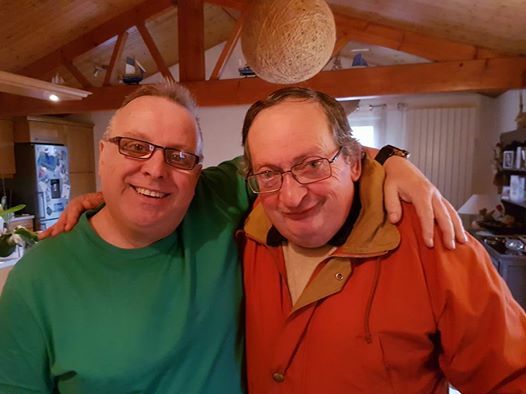 A few days ago I put a post on Facebook (I’ll re-post it at the end of this blog) about a dear, sweet man, Jean Claude: he was wonderfully healed last weekend of strong, long-term tinnitus (debilitating ringing in the ears). Jean Claude is a single man, who has been through a really tough time – and a pretty hard life, by all accounts – and he is a Catholic , he’s not a man who has many friends, being quite shy and withdrawn – yet he turns up at Colin and Sue’s house, often unannounced, knowing full well that he’s loved and accepted here. The other day, he was so excited at being healed, that he came to tell them – and me – and stayed quite a while…. So MUCH of mission work is relationships. It’s building friendships, not force-feeding evangellyism (cos it’s often pretty wobbly and unstable!) down the throats of people to get them ‘saved’ – and, in my experience, building relationships and bridges is far more effective… the trouble is, in a beautiful place like this, is that a lot of Brits come to live (I’m told that there are in excess of 6,000 ex-pats living here) and many of them just forge litle communities/churches that are British….what is so lovely about what Colin and Sue are doing is seeing change come in the lives of non-Christians, in the lives of nominal Catholics, and real unity come with spirit filled Catholics. Because they know their call here was from God, to be missionaries, Colin & Sue often find themselves the only ones really reaching into the local community, and not going to the ‘get togethers’ of the ex-pats. While it’s a wonderful part of the world to live, it’s well konown in the ‘mission community’ of like-minded people that France is quite a tough place to work, and so it’s often very lonely. My very long-time mate Tim Herbert, hinself a former ‘residential’ missionary, in Mozambique and Zambia, knows the problems of being called by God, and even ‘sent’ by a church, to another part of the world, and the huge difficulties that confront missionaries while they’re away, and often the massive struggle, once having been sent, of being ‘forgotten’. 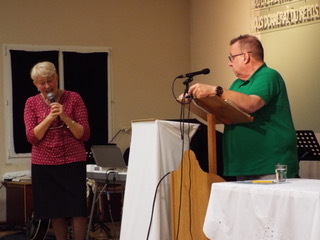 With that knowledge, he established a ministry – ‘Syzygy’ (http://www.syzygy.org.uk/), to support isolated missionaries abroad, and to assist with their ‘re-entry’ when returning home. 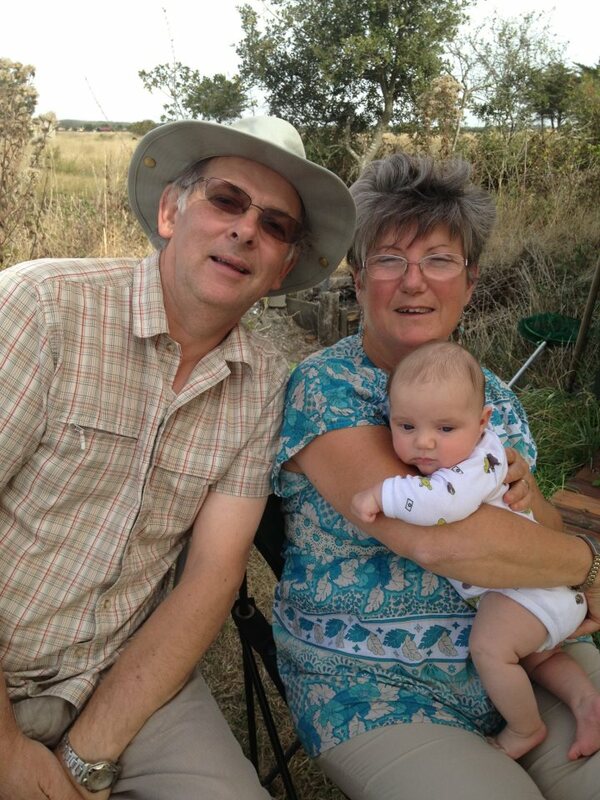 Colin and Sue aren’t – geographically – a long way away from home: but in terms of lifestyle, faith, support, and care, it’s light years away from snug, ‘over-churched’ United Kingdom. I’ve gleaned from them that, apart from a few visits from people coming to speak at their annual conference, ‘Louange Côte Ouest’ each May for maybe a week, they don’t see anyone from the UK, apart from now, with little old me, and some folk who came for a holiday to look after their house and cats, while they went back to England for their their son’s wedding in August….. Many years ago, prophetic words to the church I was then an elder of, that it was to be a ‘mission church’ (rather than parochial), meant that I was ‘sent’ (as the prophecies all were directed not just at the chuch, but at me). It wasn’t long before the ‘sending’ was forgotten: and not too long before I moved on from that church. I’ve never felt ‘sent’ – or supported by the church, though individuals in those churches have and do support me), that I’ve been part of since…. it’s an incredibly lonely place to be, and though I have a group of men that I go to for input, advice, a smack round the head when I need it (! ), and – most importantly – love and care – it’d be wonderful to feel that ‘church’ is behind me. I’ve taken others from those churches with me over the years, and they’ve returned ‘on fire’, with their faith raised, experiences under their belts that they’d never had before, a perspective on what God is doing in another country and culture (and, in Colombia’s case, the opportunity to minister under that ‘open heaven’) – which surely can only benefit the church as a whole…? That’s tough, believe me. I’m rarely away for more than a few weeks, and, if I’ve not taken a team, it’s very easy to get lonely and miss everything that was familiar. What’s lovely about Colin and Sue is that this is very much ‘home’, even despite what I’ve just written, and their home certainly is ‘home’. They don’t ‘pine’ for the UK, but would love to know the support and care of people back in the old homeland…. visits to missionaries are essential: not optional. Support for them is essential: not optional. A few years ago, there was a massive storm here – hurricane force – 52 people died, hundreds and hundreds of homes destroyed. I think Col said that they didn’t have one phone call asking if they were ok… I’ve been here a few times now: and – if they’ll have me (!!) I’m dedicated to come again – often, to help them, yes, but even more, to just be with them. Read Sysygy’s website about looking after missionaries: it’s an eye-opener. And as well as getting behind Colin and Sue, get behind Tim and his ministry through Sysygy. YOU’LL benefit: not just just them…. Bring a team – to help at the conference, if not at other times – they work themselves into the ground at LCO, and need people to share the burden of it – setting up, running the coffee bar/shop, knocking it all down….you’ll be blessed, they’ll be blessed, and you’ll see the lovely Vendee, and just how hard the ground is spiritually…. This lovely man (the one on the right!! 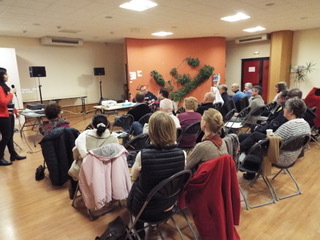 ), is Jean-Claude, who was at all the meetings I spoke at in Brem-sur-Mer last Saturday. He’s suffered with tinnitus for many years, and was healed. He’s just come round to Colin & Susan‘s house just now, because he’s so excited he wanted to tell me personally. If you’ve had tinnitus, you’ll know what a blessing it is to have silence in your head. The enemy’s tried to dump it in my head in the past year, but I’ve refused to receive it and it’s gone for good now! That’s lovely for me, as it’s pretty rare that someone puts themself out to do that specially. Thank you, Lord, for healing this lovely man. He has an amazing life story, too: including having a stroke in 1998. Jean-Claude is French, but when he came round from the stroke, he couldn’t speak a word of French. But he WAS fluent in German, which he couldn’t speak before the stroke, but it wasn’t his natural language. (I got it wrong when I said he couldn’t speak it!). Loads more to his story, but that’s unique enough!! Well….my gob was about to be smacked (for non-English readers, that means I was about to be taken by surprise, big time!) 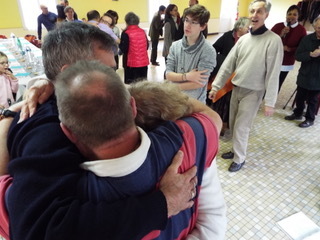 on Wednesday… following the amazing time on Sunday at La Noces de L’Agneau, it got better still in terms of God turning up, at a meeting in Nantes. Quite a few of the people who were at the Sunday meeting were there, plus about another 150 – some had driven for 4 hours (each way!) to get there. It began at 8.30 pm, 2030 hrs, though we were invited to eat at the home of the lovely Philip and Cristiane at 5.45 (1745) – who had the vision for this gathering, I believe. 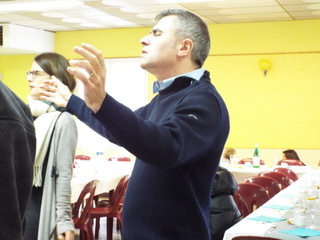 The meeting was beautiful – great worship, great praying – with a real passion: I was so blessed and privileged to be there. 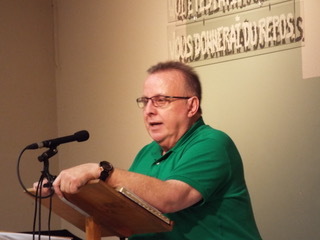 Colin’s told me that I’m probably the first Protestant to speak at this, and Ls Noces de L’Agneau, which in itself is a real privilege, and shows that there’s a real coming together in unity, to worship Jesus, and that the acceptance of each other’s differences in ‘theology’ is genuine – and, in truth, irrelevant… It was so easy to preach: the presence of God made it flow, I could have gone on for hours! 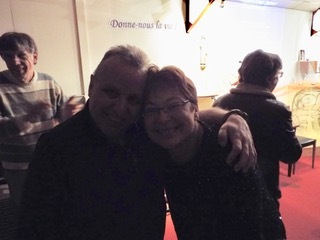 That might not have blessed the people there, though, and certainly not my lovely translator friend, Jean-Philippe Rouillier…. Lots of healings and miracles – knees of course, with lots of osteoarthritis going, but ‘unuual things’ – I posted a picture of young lady with a broken leg in the last blog. She rushed up to me Wednesday, to tell me the news…. She came for prayer Sunday, and was at Wednesday’s meeting dancing…. what made that remarkable was that on Sunday, of course, she had had a broken right leg, a steel plate in her groin (I think further examination/xrays will show that it’s gone), and lots of other pain related to back issues. Her broken leg was healed, and she’d been to the hospital to get xrays of the to prove it…. Boken right leg Sunday – totally healed – now, doctor and hospital visits to prove it! 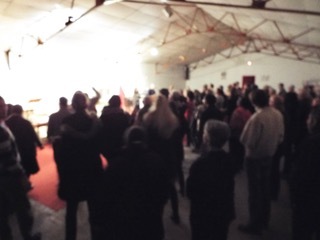 Another lady, with acute osteoarthritis, especially in her knees, was totally healed – she, too, was dancing, when 72 hours earlier, she couldn’t walk… she was walking perfectly Wednesday, AND dancing in the worship…. The lovely man who had been deaf, came to give me a huge hug, as did his wife…. I got my fill of hugging (for a day or so at least!) – how amazing of God to give hearing abck after many years without it, and very expensive hearing aids – Thank you, Lord, that for you nothing is impossible, and that because of Jesus, nothing is impossible for us, too (Matthew 17 if you don’t believe it!). Deaf – but now I can hear! The lovely wife of the ex-deaf man! The praying went on a long time, and again we were the last to leave – past 11.30 (2330), and Sue, Colin, and I were truly – but wonderfully – exhausted by the time we got home. It was a tiredness borne of giving away freely what God has blessed us ALL with – the Kingdom of Heaven, healing the sick, cleansing the lepers, casting our demons, raising the dead. When Jesus added ‘Freely you’ve received, freely give’, it wasn’t an after-thought, it was as true as what he’d said before. And the fact that you’re totally shattered at the end of a minsitry time – be it preaching, praying, or whatever, means that you’ve given away what you’ve been given. God recharges you pretty quickly though, which is blessing!! Yesterday was a more relaxed, but we went to the home of a family with a whole raft of ‘issues’ – daughter (15, Magale) with pretty severe scoliosis: we saw her xrays, her spine at least 15º-20º in one direction, and probably 25º in another direction….left leg, as a result, 12-13 mm shorter than the the right, so causing walking with a considerable limp…. Magale had just started kick-boxing classes, but had to stop bcause of the pain. Well, God did what only God can do, and I suggested getting her back xrayed as soon as possible. Checked out the length of her legs: about 1 mm different, and, of course, that ‘went’ n just seconds. The change in her face and demeanour was fantastic. It was a ‘chalk and cheese’ difference…. Her mum had experienced an awful family life as a child: a lot of abuse from within the family, then dad committing suicide. She spent some time in psychiatric care, and diagnosed by some psychiatrists as having a major persinality disorder, and by others as having nothing wrong. That’s an awful confusion to be in, and it had had a knock on effect in the family…. well, God set her free yesterday, and, again, the change in her a lovely to see! An incredibe few days….loads more besides what I’ve reported here, but this blog is long enough already!! Sunday was, for me, a day I don’t think I’ll ever forget. Over the years, I’ve had the privilege of being in many wonderful meetings in many wonderful countries. In churches that have surprised me, too. A lot of been in charismatic ‘new’ churches, some in much more traditional denominational churches. Others, yet, in churches where I’ve not understood a single word – like in Samuel Lamb’s church in Guanzhou, China – but the presence of the Holy Spirit has been so powerful: or understood a little, where the presence of God has again been overwhelming, like in the Catholic Church, Santa Rosa, in Cali, Colombia. Sunday, in France, was ‘Christ the King’ day – bringing back many recent memories of being at the amazing statue of Jesus high in the Andes, looking of the city of Cali, which has the same name. I’d been invited to speak at ‘The marriage Feast of the Lamb’, an event scheduled – I thought! – from 1100 – 1700. Hmm!! 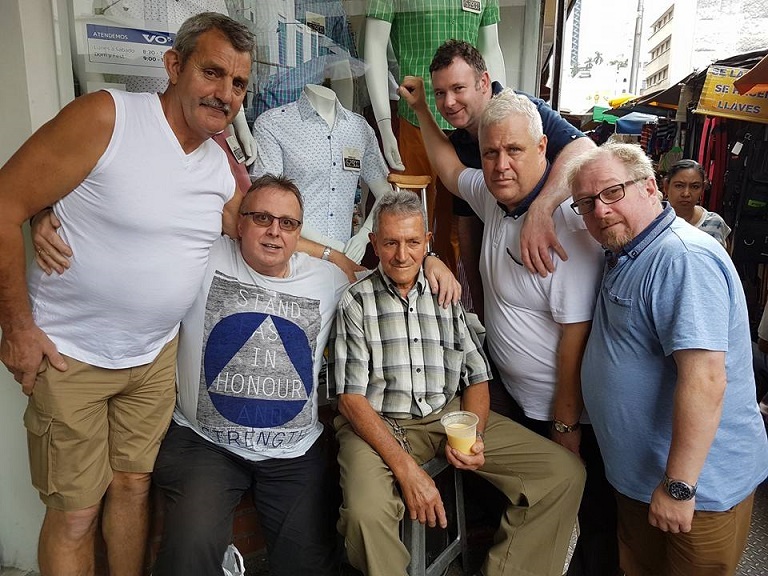 It brought back other memories, too – as far back as 1984, when I was at Roffey Place Christian Training Centre, as, for a period of six weeks, it was the joy of a lifetime to have an amazing man in the room next door, visiting on a sabbatical. 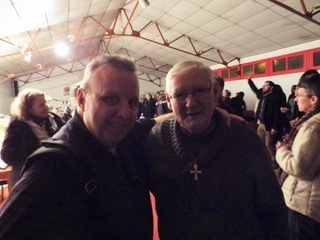 He was Father Ian Petit, a Benedictine Monk, one of the Pioneer leaders of the Catholic Charismatic movement in the UK and Europe: it was like having Jesus next door. Ian was as ‘evangelical charismatic’ as anyone I’d met, which, then, I guess, was pretty radical. This wonderful day Sunday was in Cerizay, quite some distance away: and it was beautiful. The presence of Jesus filled the room, there was lovely worship, and then a time of waiting, for the Bridegroom to arrive. If I hadn’t known, and I’d been asked to ‘guess’ the make-up of the people gathered there (about 70), I’d have said it was just a bunch of Jesus-loving radical worshippers, all totally in love with the Lamb of God…some friends back home will be surprised (maybe some shocked!!) that they are charsimatic Catholics. I was so welcomed and accepted by them, it was wonderful. Jesus certainly did turn up, and the gifts of the Holy Spirit flowed thick and fast. 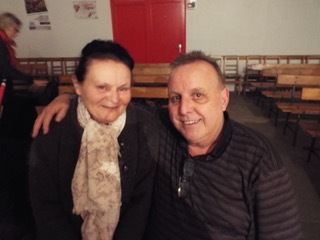 A short time of speaking, translated by my great friend,Jean-Philippe Roullier, was followed by a long time of ministry, praying for the sick – with some wonderful miracles and healings! 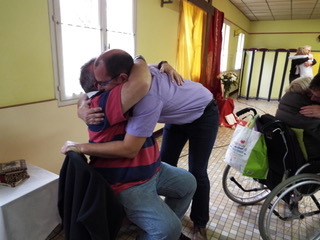 When I arrived, a lovely lady and her husband made a bee-line for me, to tell me that, at Louange Côte Ouest, in May 2013, I prayed for the husband, who was pretty much stone deaf, with expensive powerful hearing aids…. that prayer-time, he took them out, and has never worn them since, as he can hear perfectly…. What we THOUGHT was going to be a 5 pm (1700) finish – after a wonderful meal prepared by the lovely Nico, a top notch chef, and his equally lovely wife, Lucie – turned into an 11.30 pm (2330) finish, and then the drive home – only 1½ hours, so a 1 am (0100) aeeival home! To say we were knackered, totally exhausted would be an understatement!! But what an amazing day… loads of others healed too, and just the most wonderful presence of Jesus touching and filling everyone. Thank you, Nico and Lucie, for your vision, your faith, and your culinary skills! Saturday was a busy day – pretty much full-on all day – I had a 2½ hour seminar on healing in the morning (it hould have been 2 hours, but I’m still on Colombian time!! ): a 2 hour + practical workshop in the afternoon – a ‘hands-on’ fo the people attending – literally: and (theoretically) a 2½ meeting in te evening. That stretched to nearer 5 hours with the prayer time for healing…. 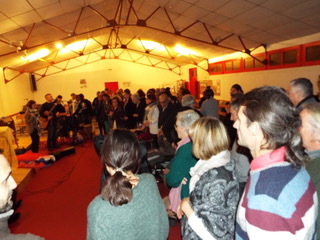 It was great to see around 60 people there – to commit a Saturday to a healing seminar is quite something, and it was lovely to ‘feel’ faith rise as testimonies of what Jesus is doing – recently too, from Londonderry, Colombia, and France the previous two days – were related through the stories I have stockpiled…. my passion is to see others begin to believe, and then be equipped, to go out into the world – be it family, neighbours, street, towns, places of work, or the nations – and do what Jesus did. I’d say tha the response on Saturday was far more enthuisastic, and the desire to do it greater, than in many places I’ve done similar seminars. I’ve found, too, that people are encouraged to know that ‘even’ people whose lives are dedicated to healing the sick and evangelism, can be unwell / infirm / sick. My own history is that I was born very sick, and spent many of my first six years in, or visiting, Whipps Cross Hospital, in Leytonstone, London. From what my mum told me, they couldn’t find what was wrong: just get me out of the London air and it might help. It was in Eastbourne, I think, the docs worked out I was celiac: incurable but controllable, yet I was healed of it by the time I was 13, when the word ‘healing’ seemed to have been deleted from the Bible and all preaching vocabulary… I was born (almost) spina bifida – a hole in my spine 1mm away from that dreadful infirmity. That was healed when I was 18, in 1971, a preacher named George Tarleton praying for me, and our youth group seeing the first ever ‘leg lengthening’ (actully, it’s the back straightening most of the time) that we’d ever seen… and now osteoarthritis… Praying for the sick doesn’t make you immune from being sick: in fact, I think it makes you a massive great target for the enemy’s assault. 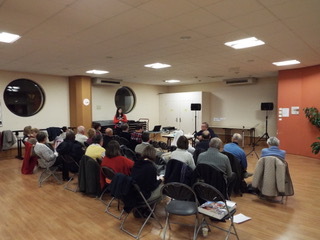 The seminar seemed well received, as di the practical. 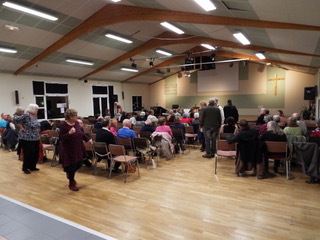 Probably 60% of those attending (again, a really good turnout, with a large proportion being French, and not ex-pats, which is the story of the weekend – and it’s great!) needed prayer for healing, so the remainder payed for them. There were healings: waiting to find out just what! It was a great afternoon. There was a different translator too: someone who didn’t know me, or my voice. That can sometimes be a real stress: but a lovely Mexican girl, Alejandra, did a fantastic job. Spent some good time chatting with her and her husband, and in the evening, too. The evening saw the hall pretty full: again, a ig %age response for healing – others helped me with the praying, which was great. Again, I had people with the dreaded osteo……… (fill in the blanks!!) – and thank you, God, in them, it went… a man in great pain with a trapped sciatic nerve was healed in seconds, which is wonderful to see, a lady with arthritis everywhere felt strange sensations throughout her body, the pain reducing noticeably by the minute, and her bent fingers straightening…. and lots, lots more…. a lovely guy, Michael, from Dominica, had a catalogue of major things wrong, some things I’ve never come acoss before, that were absolutely vile ‘inventions’ of Satan. I won’t – for Michael’s sake, and yours! – go into a description of what was wrong, but just think haemorrhoids – and then multiply that horrible affliction by about 1000, and you get the picture…plus major league digestive problems, internal pain as a result, and as a result of other things internally, too. Michael wasn’t currently in pain ‘down below’ so couldn’t tell until he got home if he was healed: but all the internal pain in his digestive system went – and, as far as I can work out from my reading of the Gospels, Jesus never ‘half-healed’ anyone, he healed people totally. So I’m looking forward to hearing the rest of Michael’s tetimony one day….. Everyone I prayed for experienced pain going, or change of some sort, or intense heat or tingling or pins and needles in the part of their body that was ‘afflicted’ – it seemed that God answered the prayer for the heavens to open over Brem-sur-Mer: now for the heavens to stay open here! 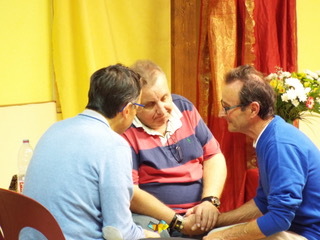 There were more healings from the others praying. I’ll have to try and get their stories tomorrow! Today, Wednesday, there are two meetings, in Nantes, about 2 hours away – at 1700 pm, and 2030 pm. It’s going to be a late night home!! 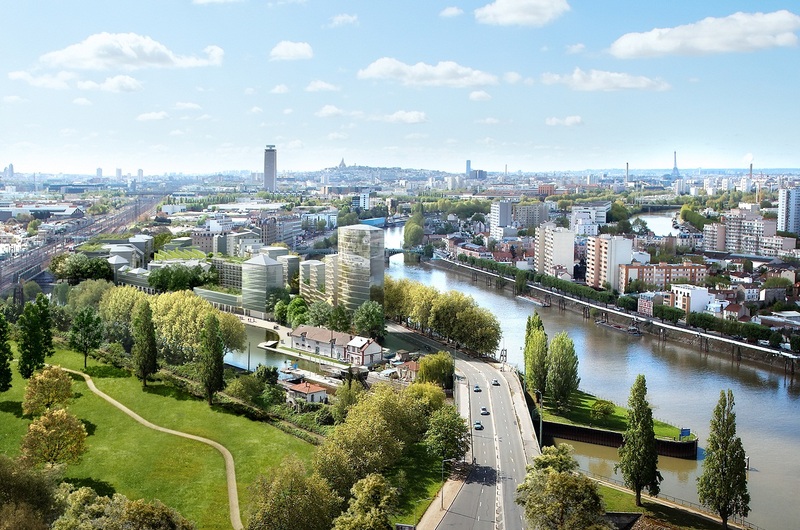 And we have to leave early, as I understand that the rush hour in Nantes is terrible – maybe it’ll be like being in Cali!! After the traumas and delays of the journey to France, there were fortunately no more bombs (! ), and he drive from Caen to Brem-sur-Mer was incident free, despite some heavy rain at the start of the journey. It meant, though, that instead of getting here late Wednesday night, giving me Thursday relatively free before a meeting in La Roche-sur-Yon, I got here after mid-day Thursday, and we had to leave for La Roche-sur-Yon within a few hours, for the first meeting….It was preceded by a lovely ‘afternoon tea’ in a cafe owned by a lovely lady named Liz, a few other people joined us, including a nurse who’d come to stab my derriere! I know that in UK, there is a ‘the French hate the British and the British hate the French’ attitude…. you know, I’ve been to France countless times, and to this area a few times now, and it really is a LIE. 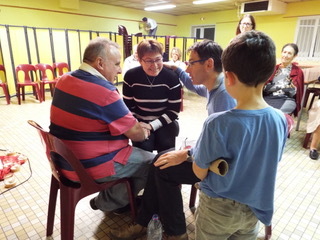 The French are LOVELY: friendly, hospitable, generous, warm, and many are really open to the the move of the Holy Spirit, though it does remain a tough place to preach the gospel: but then that applies to the UK, too…. The meeting was pretty well attended, with some lovely worship. God touched and healed a lot of people during the ministry time at the end, including two ladies with osteoarthritis, whose pain disappeared instantly, and their ‘get-up and moving away’ from the chair proved that both the pain and the crippling infirmity had gone… a lady with a migraine – mild, it seems, by comparison to her usual migraines – went immediately, and I felt without diubt it would be the last migraine she would have. A lady with a number of different internal ‘ladies’ problems had all of her pain and discomfort go. It’s amazing how quickly the names and illnesses disappear from memory, but I know that well in excess of 25 people were prayed for. 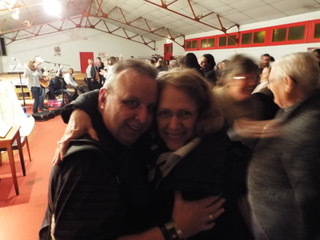 People came to me, too, to tell me that they’d been healed 18 months ago when I was last at the ‘Louange Cote Ouest’ conference: it’s always such a blessing when you hear, months or even years on, that someone was healed, and has stayed healed! Friday lunchtime, we were invited to lunch in a lovely restaurant in Challon: the owner (with her husband) was prayed for Thursday evening, and God did a lot for her, and in her then. It was a joy to go and have a three-course meal and wine in a nice restaurant, and not have to pay! Thank you, Agathe and Bruno! It really is great food, highly recommended if ever you’re visiting this glorious part of the world. The evening meeting was here in Brem-sur-Mer, one of the many lovely beach towns/villages on this fantastic coast, in the beautiful ‘departament’ – The Vendee. Again, a good number were there – and, as with he night before, a really lovely cross-section of cahrismatic Evangelicals and charismatic Catholics. I’d challenge any sceptic from the UK or the USA to guess who thy were praying for and with – whether that person was a Catholic or an Evangelly… the Spirit-filled Catholics are a delight, and actually – often – much ‘easier’ to pray for, and often far more responsive. And the weekend was excellent, too…. next blog! 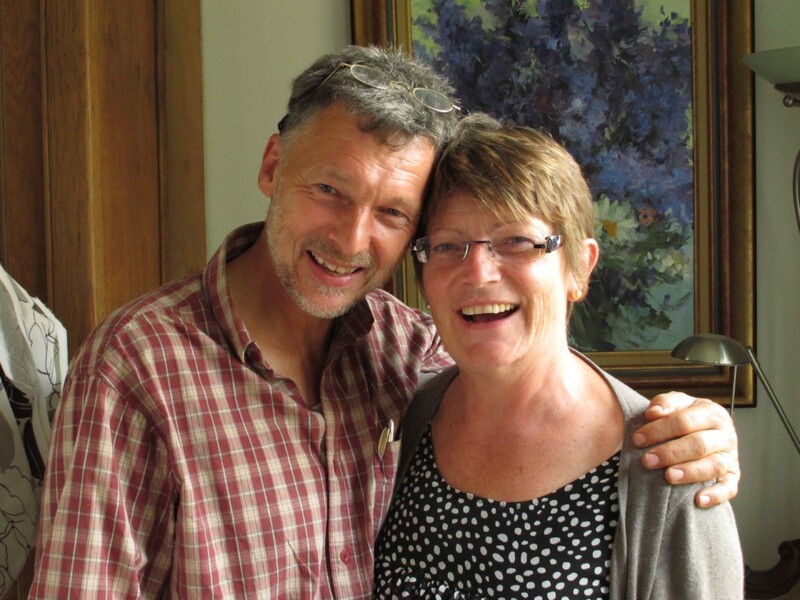 Back in the 80s and 90s, there was an American couple who came to the UK regularly: Charles Slagle & Paula Slagle. I think most of us who had the privilege of hearing them would have, without doubt, called Charles, certainly, a prophet. Many – especially me! – were often hanging onto every word in the hope of getting a ‘word’ from Charles, or one of his stunningly accurate words of knowledge. For me it’s a privilege, every now and again, to have a natter with Charles on Facebook. Today, I read the front page of their website. It blessed me immensely, as there was no hype.. Nothing where they said things like ‘because we say thus says the Lord, I love you’ (many call themselves prophets for saying such words of obvious!) we are prophets….in fact, just the opposite. Charles says he doesn’t perceive himself as being a ‘prophet’, but only another devoted listener of his Heavenly Father’. I love that. Yrs, he speaks supernaturally words of knowledge and wisdom, but his heart is to communicate God’s heart to searching and hurting people. He certainly does that. And even ‘minister’ he prefers to style ‘listener’. Perishing bomb…it’s one step ahead of me! So, cos of ‘WW2’ ordnance, the ferry was cancelled…so as I didn’t want 12 hours in the port, and as I get there about once every 15 years, i went to Gunwharf Quays, (it’s an outlet mall) partly cos I was getting hungry, partly cos I needed a loo, and partly cos it’s got some good shops, all close together, so ‘walking’ friendly…. Just got out of the car, to be shouted at ( with everyone else!!) – evacuating the centre, cos of an unexploded bomb in the harbour……this flipping bomb seems to be one step ahead of me everywhere!! It’s been in the harbour for 70 years, why choose today to excavate the perisher?? Maybe I’ll nip down to Betway and see if they’ll give me odds on it being in my cabin tonight…. And of course, if it’s unexploded, what odds might I get on it NOT being moved by tonight’s ferry time….? I think it’s turning me into an unexploded bomb for the next few weeks’ meetings!! Satan is SUCH a predictable git!! Well, for those who think enemy opposition to God’s work doesn’t happen (they tend to call it ‘the stuff of life’), don’t bother to read this! Next ferry….actually, same ship as i’d have been on, is 2245…hmm. I can think of better places to spend another 12 hours at (I’ve been here 4 already) than a queue looking at locked steel gates in a ferry car park! So glad, even though I couldn’t really afford it, that I’d booked a cabin on the ferry…Now I have 6 hours to sleep laying down, which is some compensation!! I’m so glad I set my alarm for 0415-this morning….NOT!! All the Cali guys were ‘got’ at pre, during, and post trip: Satan’s pretty predictable, and just cranks up my desire to stick it to him good and proper over these next 3 weeks!! 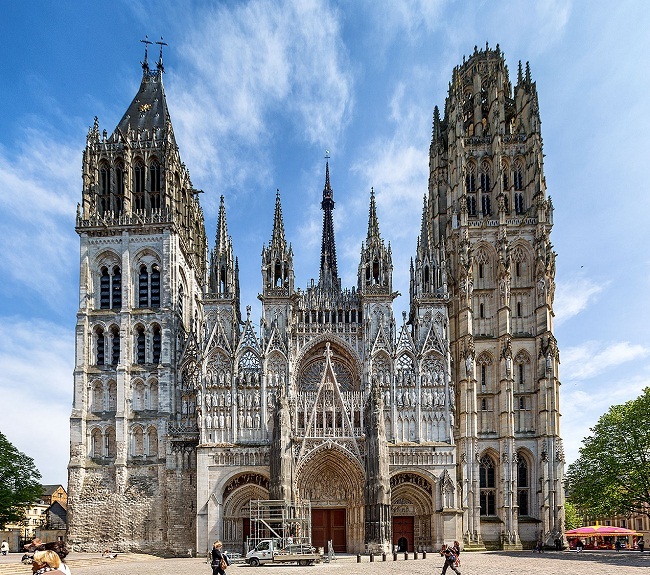 Miracles, here we come: God, the Vendee is yours, you designed it, now come and have your way there, and let’s see the name of Jesus flying high, and him lifted up in glory, over that idyllic part of France! En route vers la France ….. En mi camino a Francia…..On my way to France….. It seems like I’ve only jut got home, but it is, despite feeling otherwise, a week since Colombia! My head is still processing the amazing things that happened in Cali. Thanney popped in today, and we were talking about some of the miracles – for him, his original intention was to go and build, having never seen a miracle, let alone prayed for one. Build he did: and very well, too. But God, in his wisdom and sense of humour, dropped him in it (maybe I helped a bit! ), on the first Sunday (the first meetings), with Thanney and I praying for the very nearly totally blind lady getting her sight…. many others along the way, including Samuel, the lovely son of good friends, Pastors Wilson and Luz Eneth Monroy, losing his flat feet as we watched his arches form (this isn’t a baby, either, it’s a young man of about 23, and a very gifted footballer despite his flat feet)…. ending with the amazing miracle of Sarah, about 7, where her legs straightened and grew: born with her hips turned in the socket, feet spread about 140-160 degrees…. …..and so, tomorrow morning, I head back to Belfast City Airport en route to Heathrow: stay overnight with my lovely friends Keith and Margaret, head for Portsmouth at 0515 Wednesday, 5-6 ferry, and 5 hour + drive, to be with more lovely friends – Colin & Sue Enticknap, who have been missionaries to the Vendee region of the west coast of France, for 10-11 years. 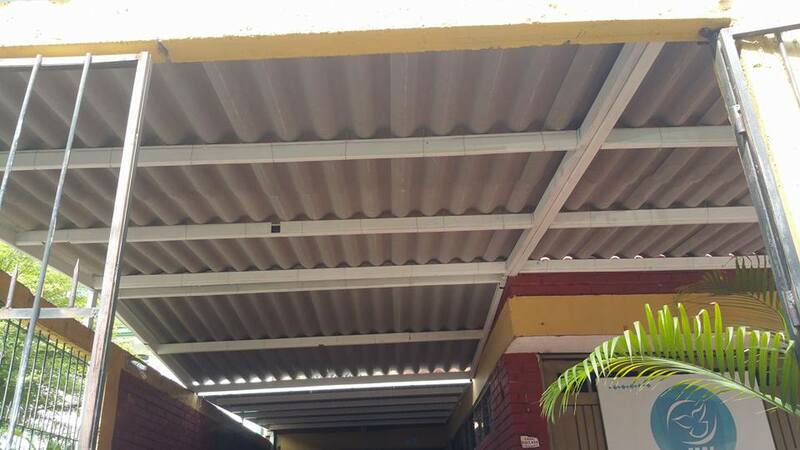 Over the next couple of weeks, there are a number of meetings – and my prayer, and my faith, is asking God to carry on where Cali, Colombia, left off….. miracles, setting people free, healings, salvations…. 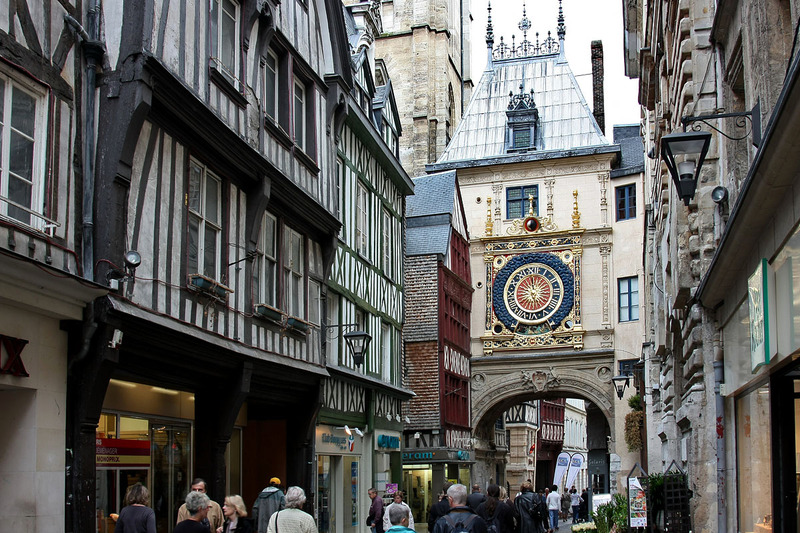 God in France, on the Vendee, and then, the third week, in Rouen, Normandie, is the same God as the God in Cali. The difference, I believe, is a few things that people outside of the western world have, that many in the west seem not to have (in the same measure) – expectation, faith, no unbelief, and total trust in a God who fulfils his promises. It was something that seriously impacted the four men who were with me in Cali – EXPECTATION. Going to church on a Sunday EXPECTING God to move, to heal, to do miracles. I think Andrew, Thanney, Davy, and Adrian were – at first – shocked that people expected God to heal them: it doesn’t take long for that expectation to become infetious! So… France…. another country very close to my heart. I love it. And the wine. And the baguette…. I could live on baguette! The enemy’s been sticking his oar into this one, too…. just like he tried with Colombia – and failed. Last night my internet stopped – Sky weren’t able to put it right: think when I get back I’ll jettison Sky! Any suggestions for a good replacement? Thankfully, I have a mobile wifi dongle, and so it’s come to my rescue today…. and yesterday, my new mobile phone died…. so that was replaced this evening – now I go to bed and try and get it sorted out in time for the trip! I’d value your prayers – I so want to see God move in incredible power on the Vendee, and then in Rouen and Caen, where I spend the third week…..with MORE lovely friends, Gerard & Elise Zeitjens….. back home just before my birthday, and – God willing – a fair few blogs that sound as though I’m writing from Colombia!! Thank you for prayers, your love, your support….. I’d really appreciate your prayers for God’s provision: it’s been an expensive few weeks in South America….. Bless you! A Northern Irish team… well – almost all Irish…. 🙂 – two lone Englishmen (me /yo /moi – and my dear friend, Lee Collier): I’ve lived in Northern Ireland for more than seven years, but haven’t even begun to master the accent (there are 1.8 million people in the country, and I’d guess a million different accents!! ), invaded the state of Cauca, in south west Colombia, for 18 days: 6 very different accents, six very different areas of gifting and skill, and, while hopefully blessing the people of Cali and Tulua, were infinitely MORE blessed by the wonderful local people, and most definitely, blown away by the blessing on our lives by the living God. Sadly, Lee – who was only scheduled to be in Colombia for 6 days anyway – did the near 30 hour journey to get there, only to have to leave to go home after a couple of days for family reasons, but it was – for me – a joy to have him there, even for those 48 hours. I’m sure the 30 hour journey home was a very tough drudgery. Do remember Lee and Katie in your prayers, if you would. Over the 19½ years, I’ve taken numerous people with me on teams, from a variety of countries – Northern Ireland, Scotland, England, Sweden, Australia, France, Mexico, United States of America: with just a few exceptions, everyone ‘falls in love’ with the country, Colombians, and especially the open heaven that I’ve never doubted is over Cali, and seems to open more each time I go back…. The visit to Cali and Tulua, which began Monday afternoon in Cali Alfonso Aragon Bonilla Airport, at 32ºC, and ended Tuesday in the 2ºC temperature and rain at Belfast City Airport (joy oh joy!!) was another where, it seems, the whole team fell in love with a nation, new to all who were able to stay (it was Lee’s third – or fourth – visit). From the wonderful welcome at Cali airport at 0642 am, from two men I’d consider right at the top of my ‘best friends’ list, Hein Hoere and Wilmar Gomez, it was a blessed trip all the way. I don’t plan to go over the 13 blogs here with a fine toothcomb, don’t worry (! ), just to reiterate that from day one, in Siloe, one of the most dangerous barrios in Cali, in a lovely church in the heart of the worst part of the barrio, God turned up in power, with healings and miracles…. I introduced my team, causing some mirth when I said I’d introduce them in order of the strength of their accents…. one ‘high’ funny spot was the face of Johan, the translator, the first time he translated for fast-talking Londonderry/Ballymena accented Davy – Davy said a lot without giving Johan a ‘slot’ to translate, and Johan’s face just went from level of amazement to another…. 🙂 – but he did it, and soon got hold of the different accents! So many miracles – hundreds and hundreds: healings – probably ten times the number of miracles: salvations – every night: the kick off in Siloe saw a lady, virtually blind, seeing… Thanney and I prayed with her, and it was what Thanney had wanted to see for many years in his walk with God….he saw countless more after that, as did all the guys. I lost count of the number of salvations, too…. We were immensely blessed to have the privilege of sharing in so many churches, praying with goodness knows how many people…. 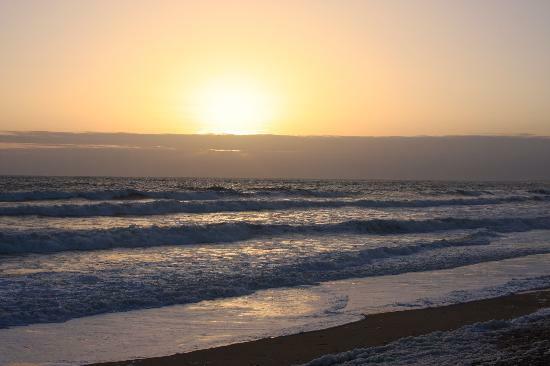 it’s something I don’t think I’ll ever get tired of, there’s still the same awe, wonder, and – sometimes surprise – as God demonstrates his power and glory…. 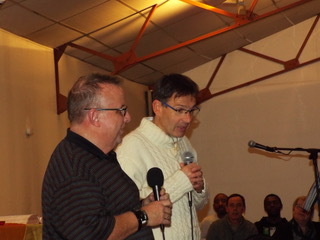 For me, it was humbling, having not been to Cali for quite some time, to be welcomed like a long lost brother returning home: and to be asked by eight pastors to go to Cali sooner than my plan (April) and more often than the ‘usual’ three times a year. 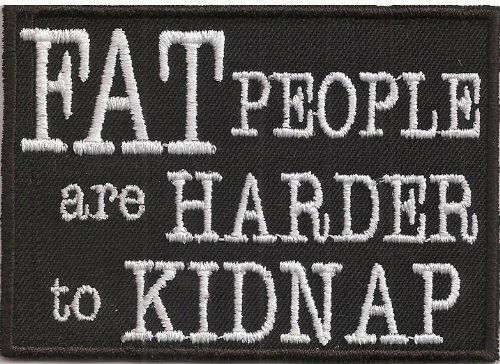 I’m trying to work out how I can fit in five or six visits from now on…. I feel very honoured, especially as I still feel – often – like the Rodney Trotter of ministry…. The enemy didn’t like us at all! – the number of times he took a ‘pop’ at us was considerable, often it felt like constant poking with a pointd stick, just to irritate, unsettle, and distract us. Thankfully, God kept his protection well in place, and collectively, we achieved much. The building jobs done were well documented in earlier blogs: but I want to honour Thanney Pyper, Davy King, Andrew Seaton, and Adrian Curry for all that they did. Thanney went expecting to build and do practical work: Davy went to Cali not quite at the last minute, but with only a few weeks’ notice, as his son, David, was due to go, but changed jobs and couldn’t take almost 3 weeks off straight away – Davy was an answer to prayer, as he can do welding, and his gifting was well used on the roof of the Mision El Abrigo church! : Andrew and Adrian did everything they could bearing in mind that building work hadn’t been on their agendas when they said they’d go to Cali! Thank you, all who prayed for us: we were very conscious of your prayers, and so grateful for them. Bless you and thank you.